The world as we know it is at risk because the world we don’t see—the one that makes ours possible—is on the brink of destruction. From Top Cow Productions and featuring writing and interior art by Image Comics founder and partner Marc Silvestri (THE DARKNESS, WITCHBLADE, CYBER FORCE) alongside art by Sumeyye Kesgin, comes a new ongoing fantasy adventure series. The Magi are awake and they are legion, and only seven magicians, sorcerers, thieves, and killers can stop them. But as Asa will soon find out that there truly is no honor among thieves. 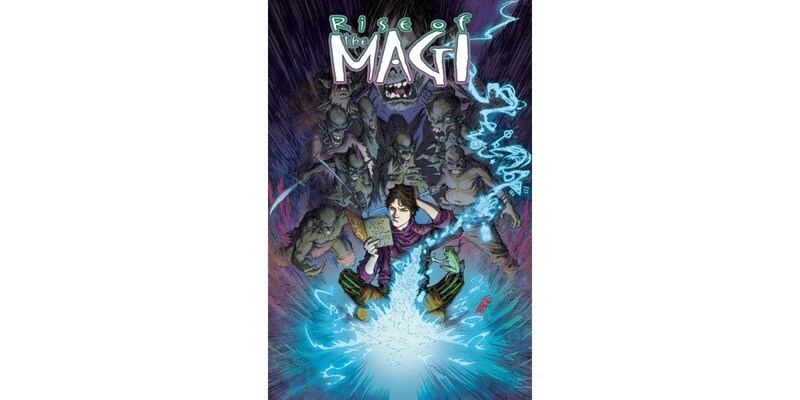 The adventure begins in RISE OF THE MAGI #1 this June. Cover A with art by Marc Silvestri can be pre-ordered with Diamond Code MAR140483. Cover B with art by Stjepan Sejic can be pre-ordered with Diamond Code MAR140484. Cover C with art by Sumeyye Kesgin can be pre-ordered with Diamond Code MAR140485. Cover D (retail incentive) with art by Marc Silvestri will be available to pre-order with Diamond Code MAR140486.